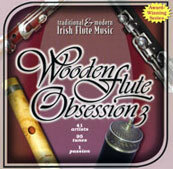 Produced by Kevin Krell for the International Traditional Music Society, this is an amazing compilation of musicians and music released since 2002 on three 2-CD sets. 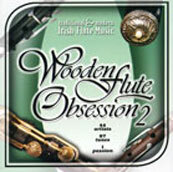 The first collection features 40 different players, the second, 44, and the brand new third volume features 41 players, each volume representing a broad array of playing styles and repertoire. Overall, a majority of the tracks were taken from recordings commercially available otherwise, except on vol. 2 where a very significant portion of the tracks were recorded specially for that project. On that same volume 2, however, not all performances are of the highest level, so that volumes 1 and 3 can be said to be significantly better as a whole. 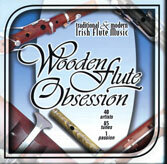 Still, this is a unique resource for those who want to investigate the world of Irish-style flute playing and to discover who are well worth hearing even if their names aren't among the best known. 20. Tom Doorley - Reels: Are You Ready Yet? 3. Mick Mulvey - Jigs: John Blessing's Delight / Green Fields of Miltown / Up Leitrim!